The Jewish World | How should Jewish leaders confront challenge of BDS groups within their communities? 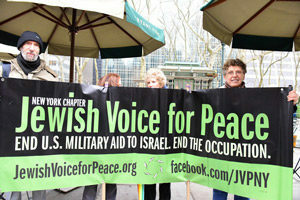 Jewish Voice for Peace. Photo courtesy of NGO monitor. 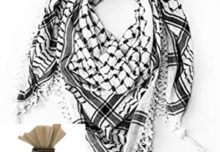 (JNS) – The recent decision by the Boston Jewish Community Relations Council (JCRC) to pass a resolution declaring that any member organization supporting the BDS movement could be expelled from the council has generated a wider discussion among Jewish leaders as to where to draw red lines when it comes to Israel. The resolution—adopted overwhelmingly by a vote of 62-13 with eight abstentions—resolves that no member of the JCRC “shall partner with—in particular by co-sponsoring events primarily led or co-led by, or by signing on to statements primarily organized or co-organized by—a self-identified Jewish organization that declares itself to be anti-Zionist.” The resolution was primarily in response to a move by one of its members, the Boston Workmen’s Circle, which has aligned itself with the anti-Israel Jewish Voice for Peace (JVP) group. David Bernstein, president and CEO of the Jewish Council for Public Affairs—an umbrella group of Jewish community relations network made up of 125 community relations councils and 17 national Jewish agencies—told JNS that his organization supports the move by the Boston JCRC. 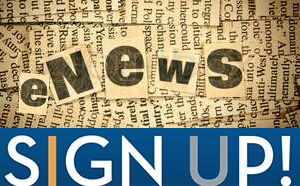 “[It] is very in line with what JCPA would do as well. We would not support an organization that openly embraces BDS or denies Israel’s right to exist, coming or staying in our network,” he said. Ron Halber, executive director of the Jewish Community Relations Council of Greater Washington, applauded the work of Boston JCRC and its executive director, Jeremy Burton, for navigating such a loaded issue. “I have tremendous respect for Jeremy and the Boston Jewish community—one of the leading and most innovative JCRCs in the country. Over the years, they have tackled very difficult issues, and I’m sure the decision was done in an inclusive manner and a thoughtful manner,” he told JNS. 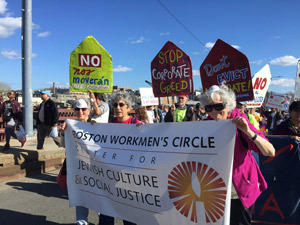 Calls to remove the Boston Workmen’s Circle from JCRC began to mount last summer when the group signed a petition organized by the anti-Zionist Jewish Voice for Peace group. Members of the Boston Workmen’s Circle attending a rally. Photo courtesy of Boston Workmen’s Circle via Facebook. As such, that alignment led to a months-long investigation by JCRC’s membership committee involving its large network and member organizations, which culminated in the recent vote. 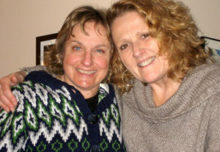 Shrage believes that the decision by the Boston JCRC may set a precedent for the wider Jewish community on how to handle decisions by member organizations that may partner or align with groups that are deemed anti-Israel, anti-Zionist or anti-Semitic. 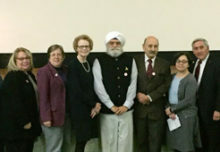 Nevertheless, Halber contends that each Jewish community and its representative organizations are unique—both geographically and demographically—and what occurred in Boston may be different than what other communities face. “I think that often when a certain JCRC takes an action, that question [of precedent] naturally comes up. The reality is that JCRCs—whether part of a federation or on their own—are autonomous and represent their own communities,” he said. The Jewish community has always wrestled with its place in American society. 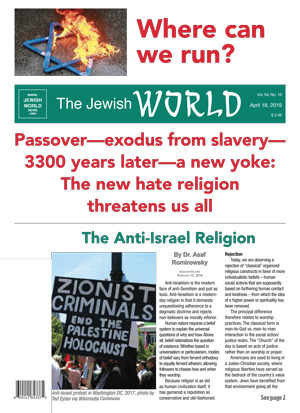 Like many other religious groups in the country over the decades, those in the Jewish community have become increasingly secular and assimilated into the broader American culture. Leaders have attempted to grapple with how to maintain a Jewish identity amid this trend. That has had a polarizing effect on the community, particularly when it comes to younger generations who shy away from religious practice for a more universal approach to the world. 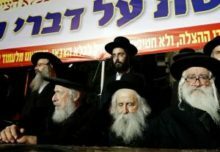 While Orthodox Judaism has maintained its ranks in tight neighborhoods and clustered communities, more liberal streams of Judaism—Reform, Conservative, Reconstructionist, Humanistic—and unaffiliated secular Jews have gravitated towards social justice and progressive politics under a general umbrella of tikkun olam, the repair of the world. Nevertheless, in recent years there has been growing concern regarding how Jewish communities should handle both Jewish individuals and organizations that are avowedly anti-Zionist. In 2018, the Jewish community in Durham, N.C., came under scrutiny for employing activists with the anti-Zionist Jewish Voice for Peace group. Additionally, groups such as IfNotNow—an anti-Israel group that has drawn headlines for pushing the Palestinian narrative at Jewish summer camps, as well as accosting Birthright groups at airports—have many members who are graduates of very same Jewish institutions, including summer camps, Birthright and campus groups, they now seek to question, undermine or even abolish. Similarly, Boston Workmen’s Circle, which has deep roots in socialism that was prevalent among early Jewish immigrants from Europe, has now taken on this mantle of extreme progressive politics that has become a bridge too far for most of the mainstream Jewish community. Halber said the goal of the groups such as the JCRC is to not be the thought police of the Jewish community. “We are here to broaden the table—to bring people into the community and provide a space for them. I deal with everyone from the Americans for Peace Now to CUFI [Christians United for Israel]. And I have no problem working with both groups. That’s a testament to both the broad table and nuance we are able to bring,” he said. “We are interested in expanding the tent, not closing the tent. One event doesn’t make a relationship, but it would definitely create internal debate in the JCRC if one our member organizations were involved in a consistent relationship with an anti-Zionist group,” he said.